Do you ever find yourself having discussions with people regarding what the best fictional sports team is? (Tune Squad!) Have you ever made power rankings of the Mount Rushmore presidents? (1. Lincoln 2. Washington 3. Jefferson 4. Roosevelt) Well we have the perfect podcast for you! We systematically rank anything and everything we can through top 5 lists, drafts, and brackets. 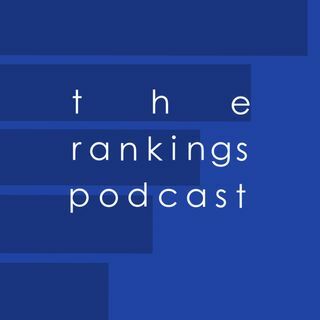 Hosted by America's ranker-Ryan Balbi and self-admitted contrarian-Jacob Wilson, The Rankings Podcast is the best ... See More thing since that listicle you read an hour ago, because someone posted it in your news feed.